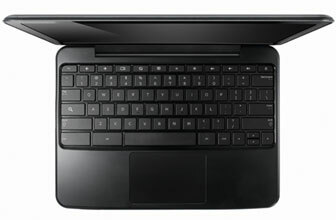 Updated on Jun 20, 2011: You can purchase a Chromebook from Amazon now. Google has released its latest gadget Chromebooks, which is believed to revolutionize the operating system experience. At Google's I/O conference in San Francisco, Google product VP Sundar Pichai said that Windows XP will be phased out in 2014 and still majority of people are using the hackneyed software. In addition, there are problems created for CIOs and IT admins when people move their notebooks in and out of the company's firewalls. All these things in consideration, Mr. Pichai says Google comes up with Chromebooks, which has singular software and hardware packages that will immensely beneficial for businesses. Google has associated with Citrix and VMWare to fabricate the business apps for Chromebooks, and already being tested to a few big names such as Jason's Deli and the city of Orlando. 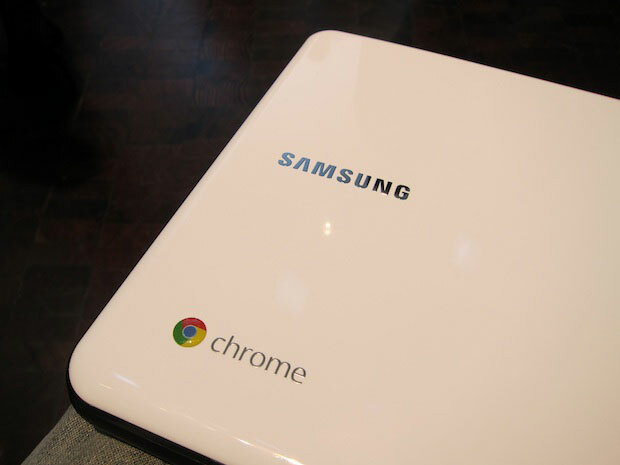 Samsung Series 5 Chromebook. Photo by MG Siegler. Below is just a small comparison between the operating system of Google and other players in the market. There are many more reasons, apart from the below four, that puts Chrom OS in the top of the list. Chromebooks eliminates lengthy boot time, application conflicts, irritating updates, virus problems and other security issues. Chromebook is simpler and considered as a true network computer. Chrome OS is basically a browser, so, if you are habituated with Google Chrome, it's a baby's game for you. It also runs your personalized browser-based apps, whether you are in computing cloud or outside the firewall. Chromebooks boot in less than 9 second and fires up quickly, even if you stop and resume your system. Another great feature of this notebook is that, it can work the whole day with a single charge. It has built-in Wi-Fi and 3G connection that allow it connect anytime. Easily manageable - System admins can manage and configure user accounts through internet, and hassle free updates directly from Google make the OS always new. The system has erased the manually patch up work. Chromebooks employ a principle named "defense in depth" to run multiple layers of protection, which protects against threat of viruses and malware. The different protection methods are tab sandboxing, user data encryption, and verified boot. Since Chromobooks allows minimal data stored, there is not much concern about lost data. Google officials unveiled notebooks from Samsung and Acer at the Google I/O developer conference May 11. The Samsung Series 5 Chromebook will sport a 12.1-inch screen and will cost $429 for WiFi-only; the WiFi+3G model will run $499. Acer's 11.6-inch model Chromebook will have fewer bells and whistles and will run $39. YouTube video: Introducing the Chromebook - Chromebooks are built and optimized for the web, so you get a faster, simpler and more secure experience without all the headaches of ordinary computer.